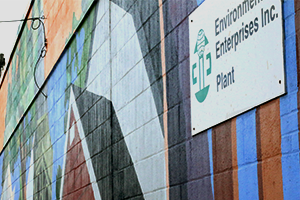 Sustainability – Environmental Enterprises, Inc.
Our approach to sustainability consists of making our facilities as environmentally friendly as possible. These efforts are primarily related to the recycling and reuse of waste materials and fuels recovery. Our responsible business activities underpin and support the delivery of our sustainability program. Sustainability improvements using high-efficiency fluorescents and LED lighting have been put in place. This amounted to more than $57,168 during 2014. 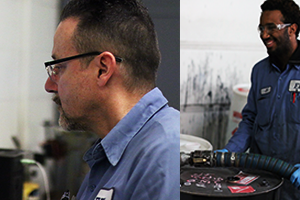 We are continuing with electrical and lighting upgrades at our plant and corporate office. The transportation repair building has completed conversions from the old mercury vapor to new high-intensity fluorescent lights. The use and recycle of useable paints received from our numerous Household Collection events helped provide supplies to Matthew 25 Ministries for reuse as paint in third world countries. They have also named us as a Green Giving Partner. Solvent-based paints are fuel blended and used as a substitute for coal in the manufacturing of cement along with our solvent waste stream. Solid fuels, combustible products and packaging are also entered into a fuel-recycling program used in the manufacturing of cement. We blended about 1725 tons of liquid fuels last year. 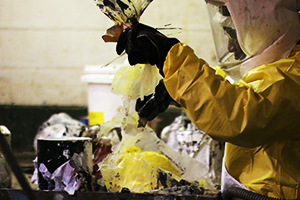 Other materials such as: antifreeze, batteries, oils, ethanol, Freon, aerosols, e-waste, mercury, ferrous and non-ferrous metals, cardboard, plastic, and drums are recycled from the waste streams we receive at our facility. By reconditioning approximately 25,000 drums, we saved 95 tons of carbon emissions, which is evidenced by the Industrial Container Service Carbon Footprint Award. Facility improvements help provide uncontaminated storm water and a reduction of the carbon footprint needed for facility heat. Excess heat from the evaporator is diverted to building heat when practical. 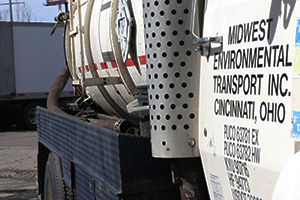 Our transportation team has achieved greater fuel efficiency and has reduced greenhouse emissions by better managing our fuel use in our fleet, and purchasing new vehicles. We purchased new Peterbilt equipment, which is aerodynamic in design, uses a more fuel efficient automatic transmission, disc brakes, and low rolling resistant tires along with reduced weight aluminum wheels. We have also purchased new trailers during the past few years with similar features. The increase in fuel mileage reduces our carbon footprint and operating costs. 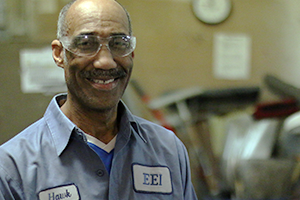 EEI is one of the few facilities in the country that does electrochemical precious metal recovery from silver flashing and photo solutions containing silver. Approximately 135 tons of these solutions were processed in 2014 along with 96 tons of copper solutions where the copper and silver were recovered and sold. 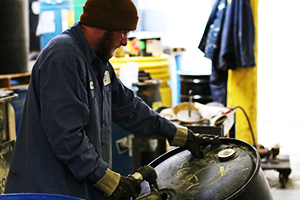 We also recycle propane and the empty cylinders are recycled for ferrous metals recovery. 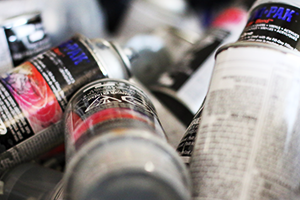 The energy recovery of liquids and gases from aerosol cans amounted to 1,637 tons in 2013. 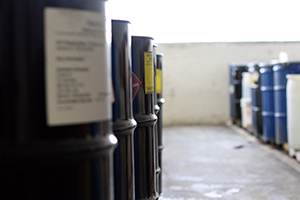 An additional 33 tons of biodiesel fuel was produced. 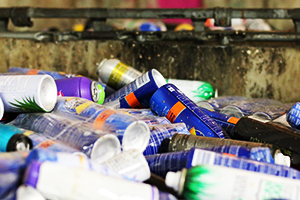 Over 835 tons were recycled from the reuse of ferrous aerosol cans and 112 tons came from aluminum aerosol cans. Cardboard packaging is recycled where possible or used for stabilization of non-hazardous materials requiring land disposal. In 2014, we sent ample amounts of cardboard, plastic, and other items to recycling centers, keeping them from ending up in landfills. Reducing waste and recycling is important to how we do business. 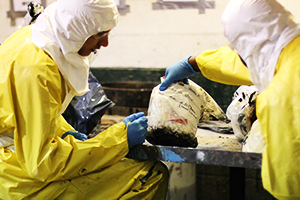 We also use one waste material to treat another to reduce the purchase of raw materials. Our Hydrolysis Unit produces caustic soda from sodium metal, which is used in the neutralization of acids. Oxidizers are also used in conduction with reducers to reduce the chemical needs for these reactions to occur. We also use kiln dust for hazardous stabilization making use of this by-product. We conduct green purchasing when possible and participate in paperless billing. 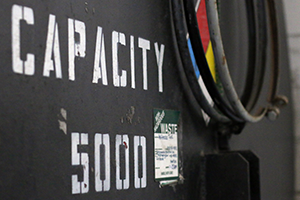 We have processed 165,000 containers from thousands of generators during the calendar year 2013, filling a significant environment need by their proper management. Our sustainability concepts and commitments are a significant part of our decision making process, and are embedded in the processes we employ. 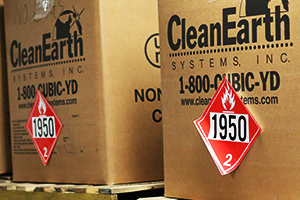 Our Hazardous waste treatment operations are environmentally sound and the facilities, to which we chose to send materials, have not resulted in anyone who employed EEI for management of its hazardous waste, encountering any CERCLA liability for materials managed at EEI in the entire, proud 39-year history of the company. We are committed to building an inclusive, open and trusting organization embracing the skills, knowledge, and unique abilities of our employees. We are the company you want to use for the recycling of your waste materials in an environmental conscious manner. Our goal is to make our community, and planet a better place to live and work! Helping you achieve your goal of sustainability!